The smallest SE bike ever! 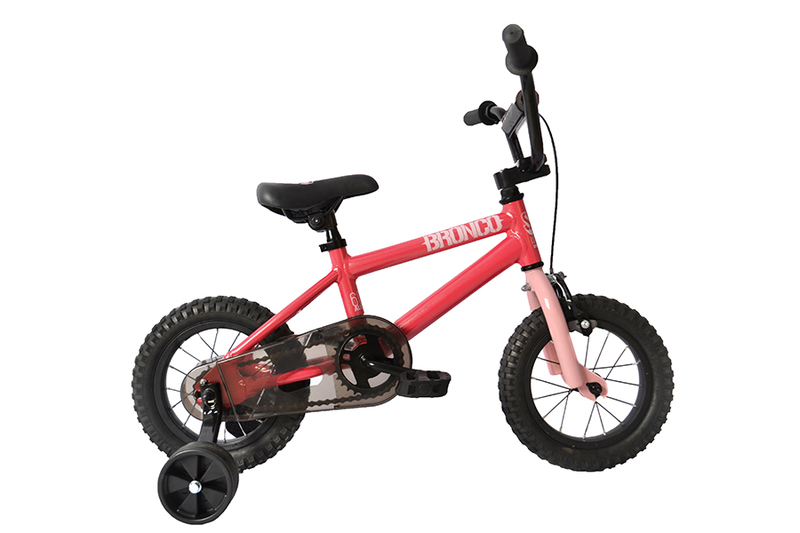 The alloy Bronco 12 comes equipped with training wheels & a coaster brake for the rad little kid just learning to ride. Youâ€™re never too young to have fun a bike. HANDLEBAR Steel, 19" X 5.5"
SEAT TUBE, CENTER TO TOP 8"